Description: Prado Dam is an existing facility constructed in 1941. 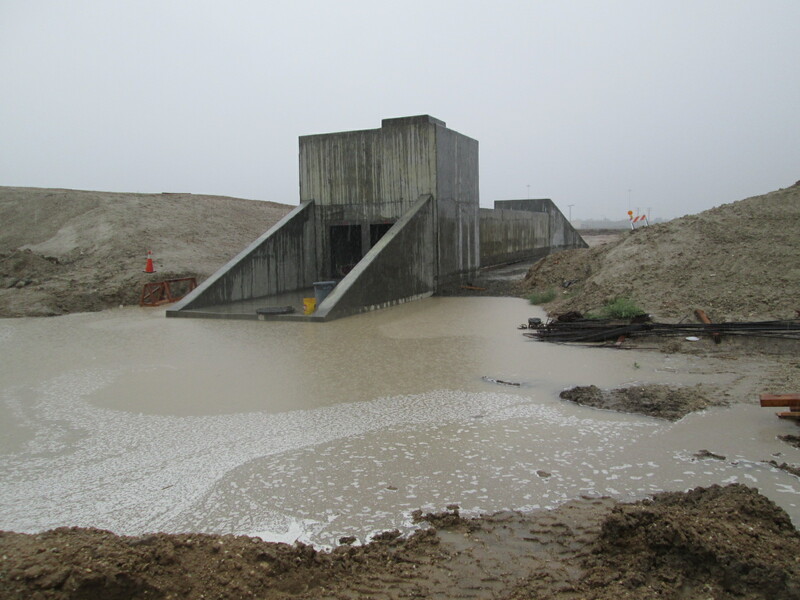 The improvement plan includes raising the existing embankment 28.4 feet to an elevation of 594.4 feet, raising the spillway crest from elevation of 543 feet to 563 feet, constructing new outlet works increasing the maximum discharge capacity from 9,000 cfs to 30,000 cfs, constructing new levees and dikes, acquiring over 2,300 acres of property rights for reservoir expansion, relocating and protecting 30 various utility lines, increasing reservoir area from 6,695 acres to 10,256 acres, increasing-impoundment from 217,000 acre-feet to 362,000 acre-feet. 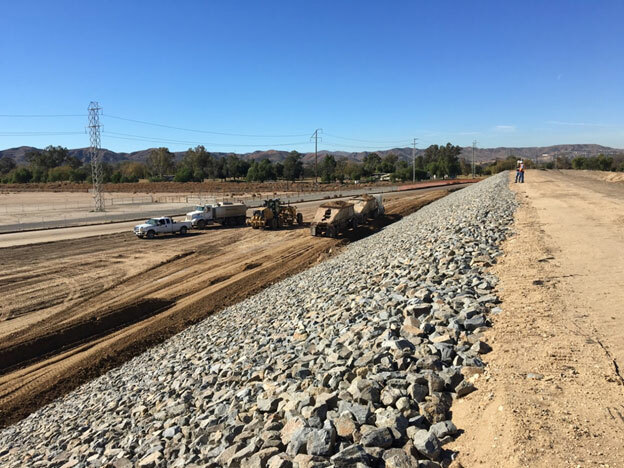 This project will include excavation and backfill, stonework, drainage culverts, v-ditches, landscaping and grading. Scope of Work: Our team provided quality control onsite including providing an onsite mobile laboratory. The onsite mobile laboratory was primarily used for earthwork, aggregate base and crushed aggregate base testing.